In PR, there are a few rules and best practices that we publicists like to stick to when building and running a promotional campaign. We’ve gathered our team’s top tips on how we get maximum exposure for our projects, and we’ve applied them to the quirks and nuances of the film industry. Whether you’re promoting a theatrical release or a festival premiere, there are a number of things that you and your publicist can do to make sure that your film gets noticed. Get started on your publicity and social media strategy as early as you can. Take note of all of the important dates including production milestones, premiere dates, press screening dates, and major festival announcements. These are all opportunities to create and share content with media and fans. Knowing these dates will help you develop and stick to a schedule that keeps you ahead of the game. You can also consider setting up early coverage before the festival season begins and as early as during production. For instance, set visits during filming can go a long way to spread the word about your project and develop your audience. Keep in mind that many outlets may not want to cover your project until closer to the release date, so keep them posted and follow up as your project progresses. Consider all of the things that make your film unique. Are you working with an all-star cast? Do you have cast and crew that are local? Is your film about an internationally trending topic? Whether you’re coming up with a pitch, writing a release, on-set with media or at a red carpet event, your story always comes out better if you find a way for people to connect with it on a personal or emotional level. You’re not just promoting a film, you’re encouraging discovery and creating experiences. You’re not just working a festival, you’re an integral part of a night that is very special to the people attending. Work with your publicist to find a few hooks and angles that you can work with. An objective look at the project can bring new and creative angles to light. Remember, not every outlet will be interested in covering your film from the same perspective. Use the networks that you already have. Getting the cast and crew on board with promotional and social media activities can also help build an audience for the film early on. Agree on what information and images acceptable to share from set or during interviews (and what needs to stay confidential) and encourage your team to promote the project together. Fan bases that are engaged with your talent are a massive resource to build excitement and they can easily be tapped into through social media efforts. Producers, editors and writers are inundated with emails and pitches every day, especially during festivals. Try to keep your pitch as concise as possible and put the most relevant hook/angle of your pitch close to the top. If you need to include additional information, considering providing a heading and link where they can find “more information about [your film] here,” instead of putting it all in the body of your email. If they’re interested, they can easily click through instead of wading through paragraphs of text. Research your media before you pitch. Festival or not, knowing your audience goes a long way. One of the biggest benefits of working with a publicist is having access to their knowledge of the media landscape and existing relationship with them. It’s much better to send your press releases and pitches to the right people as opposed to anyone and everyone. Does a certain writer only review films of a specific genre? Does this outlet prefer to do interviews as opposed to reviews? Does this publication have content that’s only geared toward teenage girls? Save some time and effort by focusing your time on the media that is most likely to be interested and invested in your project. Don’t spam media contacts with news and information that’s irrelevant to them, which could potentially damage your relationship with them for future projects. Make yourself available for interviews. For many media outlets, having the opportunity to interview the filmmaker or starring actors will be a big determining factor to whether or not they’ll run the piece. Try to make sure that you and your talent have some availability for doing press once it comes time to make a big promotional push. Whether this means waking up bright and early for a morning show interview at dawn or simply setting some time aside for a 15-minute phone call, try to be flexible to accommodate these opportunities. Consider the best time for interviews carefully. If your film will have a theatrical release, bank the majority of press at film festivals for when the film hits theatres. 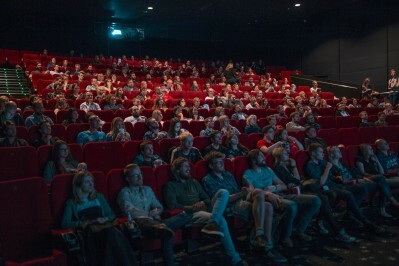 Most outlets will only interview a filmmaker for a certain film once, so it’s best to save those interviews for the time when coverage will have the most impact – when people can see the film in theatres. Make a plan and then throw the plan away. PR professionals and their clients need to be nimble. A car can be late, a press schedule can be thrown off by a long washroom visit, an interview can be bumped because a live show has breaking news, and a red carpet can be delayed. You need to know how to roll along with all of this while keeping your composure and the only way to do that is to let the plan breathe and not hold on to it for dear life. This comes with experience and learning from good people.